Turkey Hand-out Saturday – help needed! This Saturday, November 17th, is the final part of our November service, as GIFT Food Pantry, needs help with their annual Thanksgiving Food Handout, where they provide 125 Thanksgiving meals for the less fortunate in our community. Help is needed starting at 8:30 AM until 11:00 AM at the church (442 South Route 73, Berlin, NJ) to help pack food bags, and then to help carry bags and frozen turkeys to cars. 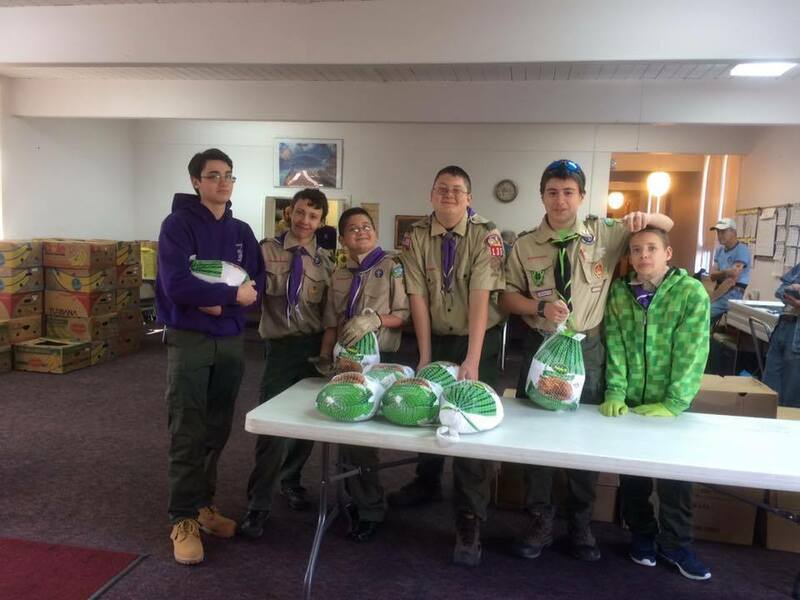 Scouts are asked to wear their “Class A” Scout uniforms if they have them, and winter gloves are HIGHLY recommended for carrying turkeys! Please come out and help if you can! Previous Previous post: Scouting for Food success! Next Next post: Familiar faces at the 76ers game?